Wealthy Monsieur Jourdain has a dream - to be an accepted part of fashionable society; in short to be regarded as a "gentleman". Even his family are to be sacrificed to this end. And there are those eager to help him achieve his dream - for a price. Moliere's comedy strips bare artistic pretensions, vanity, snobbery and hypocrisy in society, but never loses sight of the fact that plays should entertain their audiences. The play is a comedy in five acts and takes place at Mr. Jourdain's house in Paris. Jourdain is a middle-aged "bourgeois" whose father grew rich as a cloth merchant. The foolish Jourdain now has one aim in life, which is to rise above this middle-class background and be accepted as an aristocrat. He orders new clothes and is over the moon when the tailor's boy mockingly addresses him as "my Lord". He applies himself to learning the gentlemanly arts of fencing, dancing, music and philosophy, despite his age; in doing so he continually manages to make a fool of himself. Alistair Hudson (Monsieur Jourdain), is a face I recognise from Beeston Players productions and he goes from strength to strength in this role. He brings a lovely Northern sense of humour to the role complete with some proper Northern chuffin' words into Moliere's script. A lovely comedy role. Carol Parkinson (Madame Jourdain), is another actor I always look forward to seeing and again, bringing some Northern sunshine to the play. Her straight talking role as the wife kept me smiling. Holly Williamson, plays the daughter (Lucile) with Alessia Molteni as her servant (Nicole). Jak Andrukowicz-Kearns is Lucile's proposed (Cleonte). I can't remember seeing this trio previously but they show a promising stage career. Javiar Melhado plays Cleonte's servant (Covielle) and you can tell this man has acted before because of his natural fluidity of acting. He looks comfortable in his skills and that makes him easy to watch. Arnd Korn (Dorante) has graduated from the University of Nottingham drama, and again seems to be a natural performer in this role as a Nobleman. Emma Carlton plays the Countess (Dorimene) and she has a lovely feel for comedy and reminds me a wee bit of Frances de la Tour as this character and her mannerisms. Apart from these main roles there's an ensemble fleshing out the cast as singers and dancers among other roles. Director, Gill Scott runs a tight ship here and the speed is nice and pacy which is right for this comedy. Set Designer, Rose Dudley has created a stylish set. Lighting Designer, Simon Carter and Sound Designer, Jack Harris create an atmosphere befitting the time period as well as a nice harpsichord soundtrack. The wardrobe department of Jean Newton, Doreen Hunt and Paddy Signorini created a wonderfully spectacular and glamorous set of costumes, plus a brilliant Boy George inspired costume for Monsieur Jourdain. Choreography for this play is by Jemma Froggitt and Javier Melhado. I will admit that it took a bit of time to get into this play and the second half made the play - but that's not a rare thing in theatre - but it's well worth it for the comedy element. I don't think I've become a Moliere convert though. 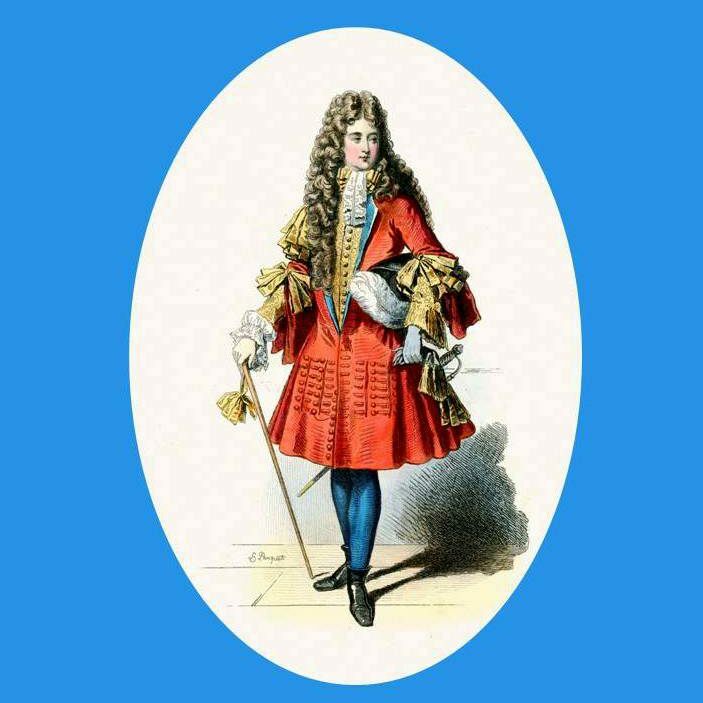 Jourdain, the protagonist of Molière’s The Bourgeois Gentleman (1670) reminds one of Malvolio in the Shakespeare play. He too is a deluded and pretentious figure of fun brought down by those surrounding him. But Jourdain is even more pathetic than Malvolio; for aside from being a social-climbing snob, he’s not a bad sort. Along with his tormenters on-stage, the play-goer will laugh at him – it’s a funny play – but might feel uneasy and complicit in doing so. M Jourdain is a rich cloth merchant, a self-made man of the middle class – here he’s given a new-money Yorkshire accent – who’s desperate to get into the upper class. In an effort to acquire the necessary accomplishments he hires the likes of fencing coach, philosopher, and a tailor who exploits the situation. The first half suffered from a marked lack of pace, as if it was being rolled out in slow motion. And in a large cast there was the odd spot of plank-like line delivery. But these were minor problems compared with the overall excellence of the evening. Some terrific period costumes, an effective set and (vaguely) period music were all greatly enjoyable. But the main pleasure of the production was the acting overall, especially the performance of Lace Market Theatre newcomer Alistair Hudson, as Jourdain. Hudson’s facial gestures and fidgety hands were a joy to watch. There was a great deal of the bumbling panto character there. Mme Jourdain, level-headed, intelligent, and, unlike her husband, happy with her lot, was splendidly played by a well-cast Carol Parkinson. A crafty servant, Covielle, was well done in another LMT debut by Javiar Melhado, and Nicole, another servant was Alessia Molteni, in her second Lace Market Theatre role. Directed by Gill Scott, this was not only a highly entertaining production but an interesting one as well.